Reduced price, more wattage, the Yamaha EF7200D/DE is a great value with the same legendary quality and performance. 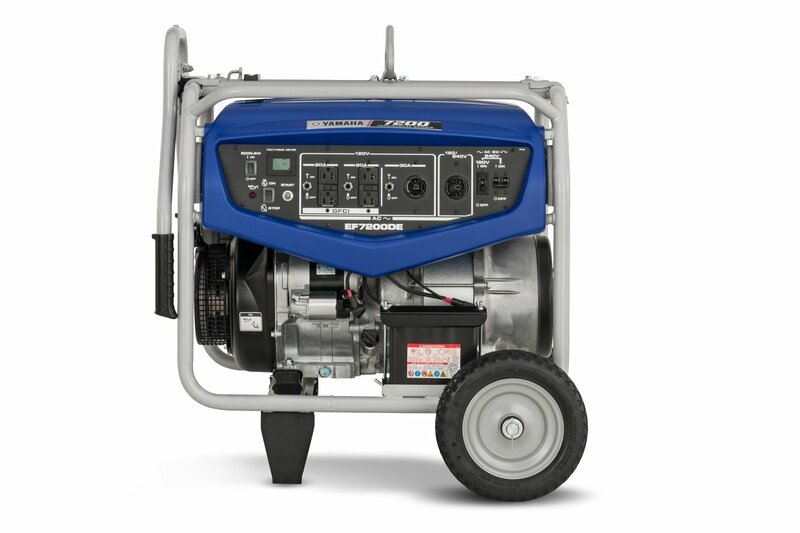 The EF7200DE model (shown in photo) comes with an electric starter and auto choke for effortless push button starting. Eight hours run time at full load–18% longer run time than previous model.